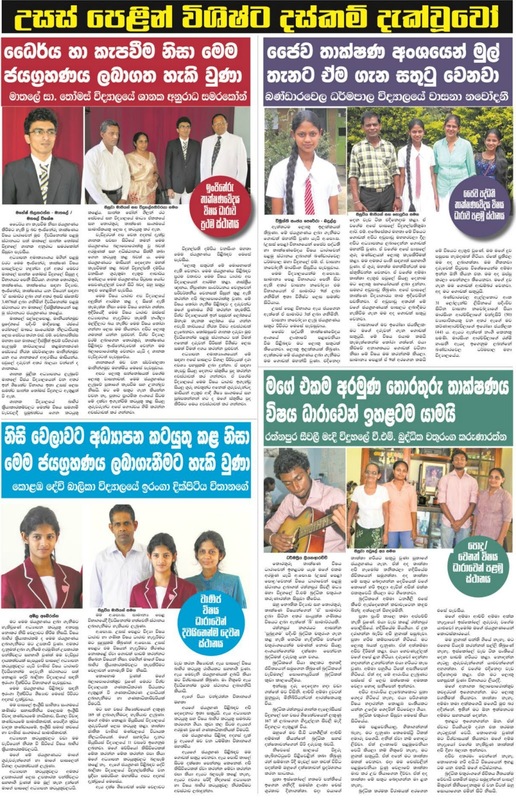 Students who received best results in 2015 A/L exam , Dasun Jayasinghe from Royal College Colombo 7 has obtained the island best results from Maths stream, while Umesha Karunawallaba from Ratnawali Balika V. Gampaha obtained the island best results from Bio Science stream. Jeeva Nayanamalee from Maliyadeva Girls Kurunegala obtained the island best results from Art stream.Akil Mohamad from Maliyadeva Boys College Kurunegala got the island best results from Commerce stream. 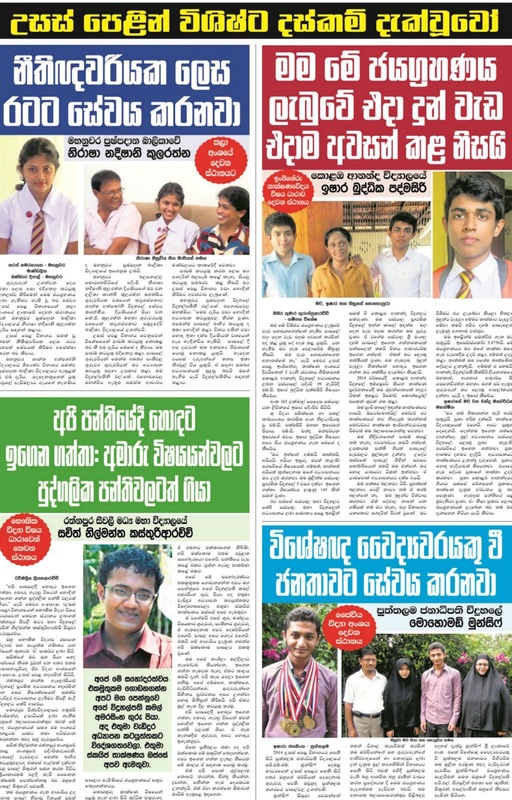 Bio System Technology - Vasana Marasinghe from Dharmapala Bandarawela, Engenearing Tech - Shanaka Samarakoon from St. Thomas College Matale.